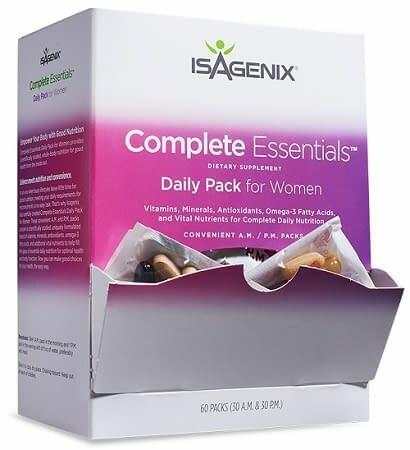 The Complete Essentials Daily Pack is divided into AM and PM servings to provide your body with the right antioxidants, omega-3s, vitamins, minerals and other vital nutrients at the right time of the day. Available in separate packs designed specifically for the different nutritional needs of men and women. The Isagenix Complete Essentials Daily Pack has been formulated to deliver the essential elements your body needs in a morning dose and an evening dose. This system allows you to get the right amount of these nutrients at the right time of day. The Complete Essentials Daily Pack has a variety of multivitamins targeted at providing whole-body nutrient support. Vitamins C and D, omega-3 and antioxidants are included to support overall health and youthful aging at a cellular level. The daily packs are targeted to help both males and females with gender-specific formulations. In addition to overall wellness, for men, the essential nutrients are beneficial for immune support and prostate health. The women’s pack includes vital nutrients meant to help bone, skin and heart health. The Complete Essentials Daily Pack comes with an option to add IsaGenesis. 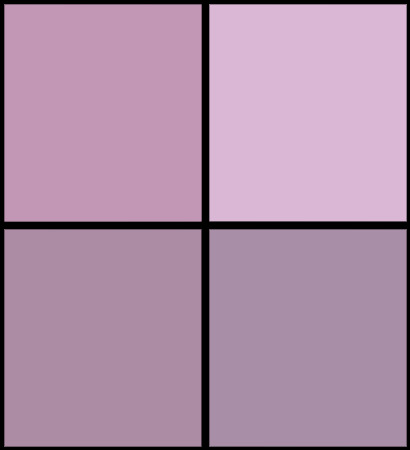 The inclusion of IsaGenesis in the daily pack provides a unique blend of bioactive antioxidants and herbs designed to assist with healthy aging. The nutrients in this pack support telomere health and help the body reduce oxidative stress. IsaGenesis is a unique supplement created to support healthy telomeres and assist the body in managing oxidative stress. The Isagenix Complete Essentials Daily Pack is designed to support overall health with specific target areas for men and women. The natural blend of minerals, vitamins, and omega-3s have been professionally formulated to support youthful energy and provide highly concentrated essential fatty acids for brain and cardiovascular health. The morning pack included in the Complete Essentials daily pack contains a C-Lyte supplement that delivers three forms of vitamin C for additional antioxidant support. This will help to support your immune system and support peak health. The night pack includes the IsaOmega and Cytoactives supplements that target cell function and provide cardiovascular support. With the two-pack system, you are guaranteed to get the right dosage at the right time, ensuring that your body reaps the most benefits. What happens if I forget to take one of the packs? If you miss a dose, just wait until the next one and resume as normal. There is no need to take a double dose. What time of day should I take the two daily packs? The two packages in the system are used in the morning and the evening. The morning pack can be taken with breakfast and the evening package with dinner. Adults 18 and older include one pack in the morning, and one pack in the evening with a meal, or meal replacement. You can order the Complete Essentials Daily Pack with the addition of IsaGenesis or without it. Ionix Supreme: Contains botanicals, herbs and other extracts designed to reduce stress & increase energy levels. There’s no better time than right now to give your body all the support it needs! Add the Complete Essentials Daily Packs to your day and support optimum health with little fuss, but a great reward!